Betfair is a company that needs little introduction as it is regarded as one of the best betting sites in the UK, with its mix of Betfair sportsbook and Betfair exchange options giving it a unique place in the market. At BettingTop10 our reviews focus purely on the sportsbook options at bookmakers, but there is no doubt the extra addition ensures the firm has an edge on a lot of its rivals. With a great mix of promotions to earn a free bet- including those that run all-year round and bonus others that are changed on a regular basis such as the cash race – value for money is one of the top selling points of the betting brand. Sports such as football betting, tennis and golf, as well as others like basketball, cricket and betting on horses are all covered brilliantly, with lots of new offers and promo codes around the time of the Grand National and Cheltenham. Although the company was only founded in the year 2000, it is an unarguable Goliath of the sports betting world, especially since the parent firm went through a merger with another online bookmaker, Paddy Power. Read on for our review and find out why this is one of the UK’s most vital betting websites. Odds on this website tend to be among the best available on the internet, and nobody should underestimate that. An impressive live video outing proves that this bookmaker has an excellent idea of where it is headed and serves as well as any other bookmaker’s efforts. The company’s biggest downfall is perhaps due to its success: Betfair’s sportsbook is so massive that it is sometimes hard to find the bets you are looking for. The exchange option can be confusing for those who do not know how to back and lay, so perhaps early adopters of online gambling should gain some experience in this area before giving it a try. After spending any time at all with Betfair’s mobile site and apps it is clear just how much work has gone into creating a high quality user experience that is arguably the best software in the gambling industry. Betfair’s live streaming and in-play odds merge together in a seamless fashion so it is possible to watch all the big horse racing events while out and about, while having a flutter on them too. There is nothing more frustrating than a betting site that is slow and unresponsive and the good news is that the opposite is the case at Betfair, which loads rapidly and works at a great speed. Betting on football and a wide range of other sports via your Android or Apple smartphone has never been easier than it is via the platform after you login, so you can do everything you need to do – including using a bet calculator – without going to the full site. Fast market access is also on offer after a quick download of the app, which is also one of the best in the business, so it is clear that mobile is an area where the company really excels compared to rivals. Betfair offers its customers an effective login service. If you need to open an account, just click the “Join Now” button to register on the site. You will be required to enter a few personal details on the Betfair login page, before being given the opportunity to receive free bets after placing your first wagers. When you are registered, simply enter your username and password in the respective boxes at the top right-hand corner of the website and press the “Log In” button. You will then be taken to the main betting page. If you make a mistake during the login process you will be asked to start again. Do this too many times and your account will be locked. Customers who forget their username or password should click the appropriate link underneath the “Log In” button. Enter your details and press the “Send Reminder” or “Check” button as required to receive an email containing a link to get you back into your account. Click the link and this will take you to a secure website where you can reset your details. Once completed, visit the Betfair login page to return to the main betting area. If you can’t remember your email address, click the “Help” link near the top of the site. Look for the “Contact Us” button which will allow you to use Betfair’s Live Chat service. Betfair’s deposit options are much the same as most of the big-name bookmakers, with all of the expected major credit and debit cards covered. Deposits should go through to your account immediately when made in this way post sign in, so you can get on with picking out your best bets and wagers. In addition to top brand credit cards and debit cards, the firm has also partnered with a number of online payment methods to make it easy to top up the level of funds in an account. Skrill, PayPal, and Neteller are the best known three online payment solutions out there and all of the trio are featured on the list of deposit options available to customers of the site. Bank transfers are also possible with all of the necessary and relevant information listed clearly on the website to make the withdrawal process as straightforward as possible. Betfair revolutionised the gambling industry with the creation of its sports betting exchange in 2000, but the company also offers a well-respected online casino. The site boasts a simple but modern design, which looks good on both desktop and mobile. There are a huge selection of exciting casino games including blackjack, baccarat and roulette. With slots, arcade games and plenty of live dealer tables, the Betfair Casino is like having Las Vegas on hand 24-hours a day. New players can access an attractive sign-up bonus, whilst existing users benefit from weekly promotions such as free spins or the chance to win some of the hottest gadgets on the market. Minimum deposit of €10. X45 wagering. Roulette and blackjack 50% weighting. Bonus valid for 7 days. Not available to customers using Moneybookers\Skrill or Neteller as a payment method. Full T&Cs Apply. New games are a major feature on the site, with the latest releases from leading developers like Playtech all offering five-figure jackpots. Betfair constantly updates its lobby, ensuring that players can always access the most modern games on the market. Slots are the most popular games on the site, with over 100 to choose from. Film titles like Rocky and Dirty Dancing are complemented by superhero-themed slots, with many of the games offering progressive jackpots approaching £1 million. Table games contains numerous versions of blackjack, roulette and casino poker, with a few extra games such as sic bo and craps. Betfair’s live casino features baccarat, blackjack, hold’em and roulette, whilst the card section boasts 20 games including poker and pontoon. An exciting variety of arcade games and video poker choices means there is something for everyone on the site. New players receive free spins to try on a selection of Betfair’s best slots, whilst the site also offers an attractive matched bonus on your first deposit. Users have the option to choose bonuses on slots or in the live casino, ensuring all types of players are well-catered for. Regular players can enjoy the Betfair Casino VIP scheme. This is on three levels – gold, platinum and diamond – with each featuring different offers including VIP-only events and promotions. Diamond level players are assigned their own personal account manager and the level of service we received whilst conducting this casino review was excellent. Betfair holds licenses issued by different authorities allowing them to offer their products and services worldwide, including the UK Gambling Commission and the Danish Gambling Authority. The site offers an extensive range of payment options including debit/credit cards, UK bank transfer and eWallets like PayPal and Neteller. The minimum deposit you can make via any of these payment methods is £10 and withdrawals usually take between two and five days. 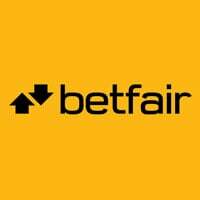 Betfair has made the mobile version of the site compatible with Android, iOS and Windows devices and launched a number of apps that you can download to your phone or tablet. The casino app offers table games, card games and slots, whilst the arcade games app features more than 50 of the latest titles. The live casino app gives you the chance to play roulette, blackjack and baccarat, making Betfair one of the best sites around for gaming on the move. With a bingo app and poker in-play app also available, players are spoilt for choice wherever they might be. Having established its betting exchange as the leader in its field, Betfair’s casino provides a service players can be sure they can trust. With a huge selection of games, excellent bonuses and an impressive VIP scheme, we believe Betfair is one of the best online casino sites around. The help centre at Betfair is certainly another strong point of this betting site and it is hard to find any weaknesses in the way customer complaints are handled by the company. Live chat is a new way to get in touch with customer service agents and, according to Betfair, it usually takes just 30 seconds to receive a response through this method. The same length of time is used on average to answer calls made to the customer service line, which can be accessed by calling 0344 871 0000 from the UK. While the live chat is available 24/7, in line with other top British bookies, agents can only be contacted over the phone from 7.30am to 12.30am. Last but not least of Betfair’s customer service options is email, with responses to queries made in this method typically received within around four hours. An email contact form is available on the website, or users can simply bypass that route and drop a line to an agent at [email protected] instead. Finding weaknesses with this sportsbook is a major challenge and it is easy to see why the brand is regarded as one of the most trusted and reliable of the UK’s top bookies. Odds accessed through the sportsbook are already some of the best in the business, but the exchange makes it even easier to find the best possible prices on various sports. Live streaming to check the latest score or full-time results and betting in play are further strengths and the mobile site and apps are both high quality products as well. Market movers will have lots of strategies to make money off the exchange – the Betfair forum has lots of tips too – but keep in mind that the maximum payout is £1 million and the bookies do take a commission off winning bets. Everything at Betfair is done in a classy way and here at BettingTop10 we are big fans – the company is definitely one of the top online bookmakers in the UK and registration is a must.